I was allowed to only have a day of leave during my group's outreach program in the area of Mt. Tabayok. The actual outreach program was scheduled on a Saturday (May 23), but the whole trip will last for 4 days given the distance of the place. Mt. Tabayok is located near Brgy. Ballay (pronounced Bal-lay) in Kabayan, Benguet. The land travel will take about 15-20 hours, almost two days is allocated just for the trip. As part of the 'Habol'group, we left Manila taking the Victory bus bound for Baguio . We left on Friday night and arrived on Baguio early morning of the next day (the first group left thursday). From here, the idea is take the bus bound to Kabayan, this is the same bus that is normally taken by climbers going to Mt. Pulag via Akiki trail. The problem here is that there are only two bus trips per day, and they are scheduled to leave Baguio by 10:00am and the other one is 04:00pm. Its is still very early when we arrived at the bus station (8:00am) and being on a time constraint, we don't want to waste any moment. So, we decided to hire an FX taxi and maybe we could still be able to catch the actual turn-over of Donations. Its the drivers first time going to Kabayan, my guess is that if he knew the place (and the roads) he might not have agreed on being hired since half of the road is not yet cemented and its an eight hour trip. When we arrived at Brgy. Ballay, the actual gift giving was completed. We missed it by an hour or two. The school supplies had been distributed to the students and the computers had been installed in the Faculty rooms. There are also several boxes of vitamins that had been distributed to the kids of the community (thanks to Unilab). A bit disappointing but were still OK, we'll planned to be the support group anyways. And the community was already very happy whenever urban citizens visits their place. Our companions had been camping out in the schools rooms. This is the reason they told us not to bring tents. We also lodged hourselves in the vacant rooms. The next day is the actual climb day to Mt. Tabayok. The first batch hired a jeepney going here and this was also the one that took us to Mt. Tabayok. Mt. 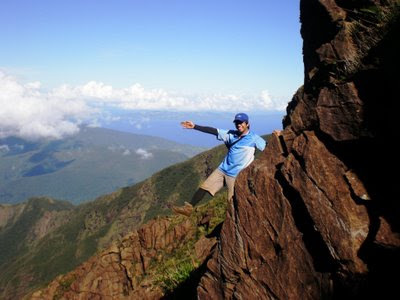 Tabayok is the 5th highest mountain in Philippines with height estimated at 2,870 MASL. There is a lake situated beside the mountain (Lake Tabeyo), this lake was voted for cleanest lake in the PI way back in 2003, but now I guess it has lost its glory. The lake is not crystal clear anymore and looks more like Taal lake. The jumpoff starts at 2,200 MASL, since we started climbing at a high altitude there were only 600 meters left to gain. According to my friend who was one of the pioneers in climbing this mountain there were only 2 houses around the foot of the mountain during their exploration climb. But now there are a lot, and a big part of the mountain slope is now being converted to farmlands. I also noticed that there are a lot of cut mountain trees which are near the farmlands, my hunched is that the farmers are planning to expand their farms. I could rate the climb easy as there is a well established trail and there are lots of portruding branches and roots to hang-on to. The forrest is very mossy and the weather is cold. The summit has no clearing, but what the locals did was they created an elevated viewing deck that lets you peek at the top of the trees. You can see Mt. Pulag from summit. We stayed here for a few hours and then we decided to head back down. The trek back down was also relatively easy and we managed to get back on the jumpoff with only minor hitches. We left early the next day and the same jeepney took us to Baguio. The locals were so happy of our visit that the Baranggay Captain keep on texting while were on our way. Special thanks to Raymond for giving us extra entertainment during this trip. I read an article in the net that if you want to experience Mt. Pinatubo to its post eruption beauty, the time to climb it is now. So when an officemate invited me to a planned trip to Mt. Pinatubo I decided to join (of course I also like to have a little bonding with my co-workers). The Jump-off starts from Brgy. Sta. Juliana in Tarlac, a Korean company had established/monopolized a resort in this place. I guess all the travelers to Pinatubo needs to pass by them, they are handling the tours in coordination with the locals who are serving as the guide and drivers. After registering, we took a ride in a 4x4 pickup truck that took us to the foot of Mt. Pinatubo crater. As expected the 4x4 ride is very rough, but the uncomfort is overcomed by the scenery along the way. We saw rivers, lroads covered by lahar, Aeta community and some domesticated animals roaming freely. From all of these, the most grand is seeing lahar pillars that I guess were created when mudflows flowed along this area. I also saw from not so far away mountains that maybe are still unexplored. Rightfully speaking, the internet article is correct. Most, if not all the surroundings are now covered in green. From what I've read and saw in pictures, this area use to be like a desert after the volcanoe's explosion and the lahar mudflows. After almost an hour of traveling you will reach the foot of the crater. Its all walk from here. According to our guide, the trek part is now cut in half. Before, you have to walk for about 30-45 minutes to get to the foot of the crater, now this place can also be reach by vehicles. Well, I guess they really want to have a lot of tourist here and develop (commercialize?) the place. From the foot of the crater its about another 45 minutes leisure walk to the crater. The path is passing by a shallow river with rocks and sand. Then you will reach a short stairs climb (about 30 steps) and then its the crater. There is water on the crater that is normally colored green (but they say sometimes it turns blue). You can swim inside the crater lake but mind you its not like a beach that you can walk far into the water and still very shallow. Here after three steps, theres already a chance for you to drown. Looking around there are about two cottages already built around the area, and they are still building more. O well, signs of commercialization (so whats next, Hotels?) .But in fairness the place is well kept clean. I just hope they could keep it this way. After spending a few hours looking, dipping and feeling the place we decided to head back home. Mt. 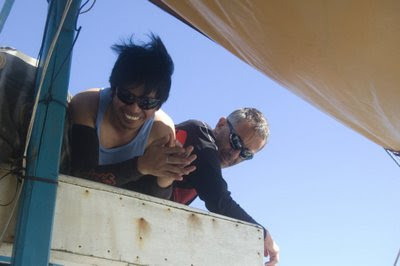 Pinatubo adventure is a good experience specially for those who like to see good nature beauty with minor sweat. 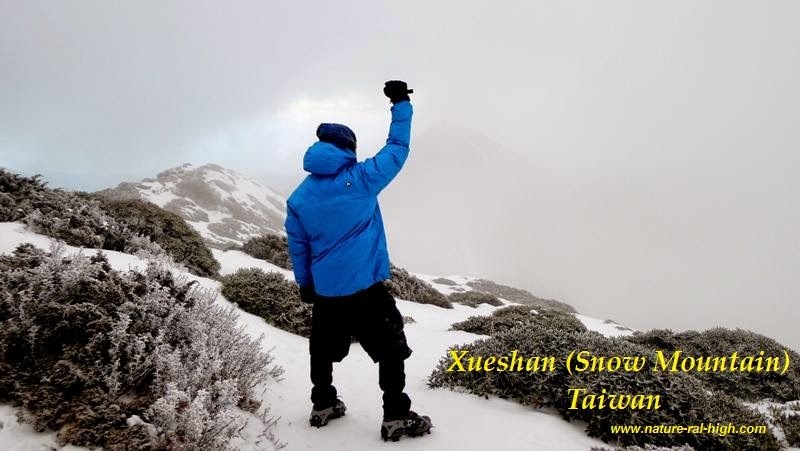 But if you are looking for a complete outdoor experience I suggest you try another trail going to this mountain (currently there are three existing Mt. Pinatubo trails).